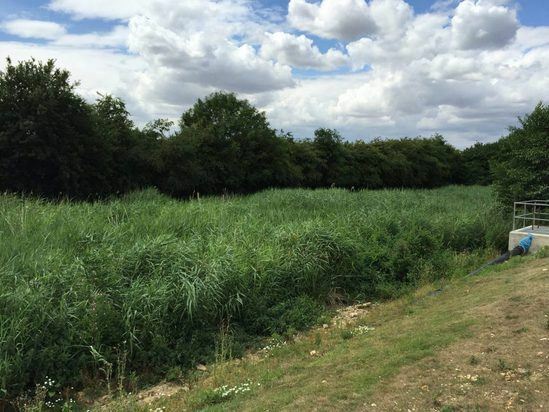 Anglian Water required a tertiary treatment solution for their site at Earls Colne in Essex. The discharge consents for the site were to be tightened by the Environment Agency. The site had no power available and the cost of introducing a power-based tertiary treatment solution was prohibitive. The required improvements in the new discharge consent were focused on the solids and ammonia levels though some reduction in the BOD levels was also needed. The average flow through the works is 1,168m3/d. 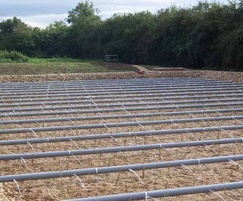 The addition of ammonia to the discharge consent specifies a system which will provide adequate oxygen transfer to achieve nitrification of the ammonia to nitrate thus a vertical flow reedbed system was selected. The requirement for tight control of solids meant that two separate beds operated alternately would be the best technical solution, as it would allow each bed to ‘rest’ during which time organic solids will break down preventing clogging of the surface. The use of vertical beds requires batch feed so a siphon was installed to negate the need for batch pumping and power connection. Two beds of 20 x 40m were constructed totalling 1,600 m2. A stilling chamber between the siphon and the beds was also installed to allow for some solids settling, reducing the solids load passing forward onto the beds. 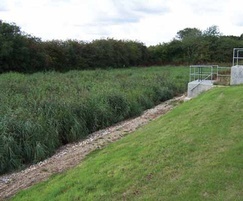 The use of passive vertical flow reedbeds as a solution for the tertiary treatment of site effluent provided Anglian Water with a low maintenance gravity operated treatment system with no power requirement at Earls Colne. 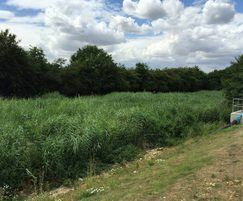 The addition of the tertiary reedbed treatment system avoided the significant capital costs that would have been associated with an upgrade of the secondary treatment process in order for the site to meet the tighter discharge consents set by the Environment Agency.